As a high school student I was living in a town whose main interests were the cotton gins and the flourmill. Girls were not allowed into the band until I was a 9th grader. For three years I played around on an alto and tenor saxophone. I just made a noise. The director let me stay in the band because I knew my right foot from my left foot; I was always in-step in the marching band. For some reason we never went to marching or band concert contests. My senior year several of us did go to Solo and Ensemble Contest. I played BEAUTIFUL COLORADO on the tenor sax and received a grade of 2, a grade of 1 being the best. I was the only girl from my high school at the contest. The boys also received a grade of 2 but they were all juniors. Because of the BEAUTIFUL COLORADO grade of 2, I played it as a solo for our Baccalaureate Services. 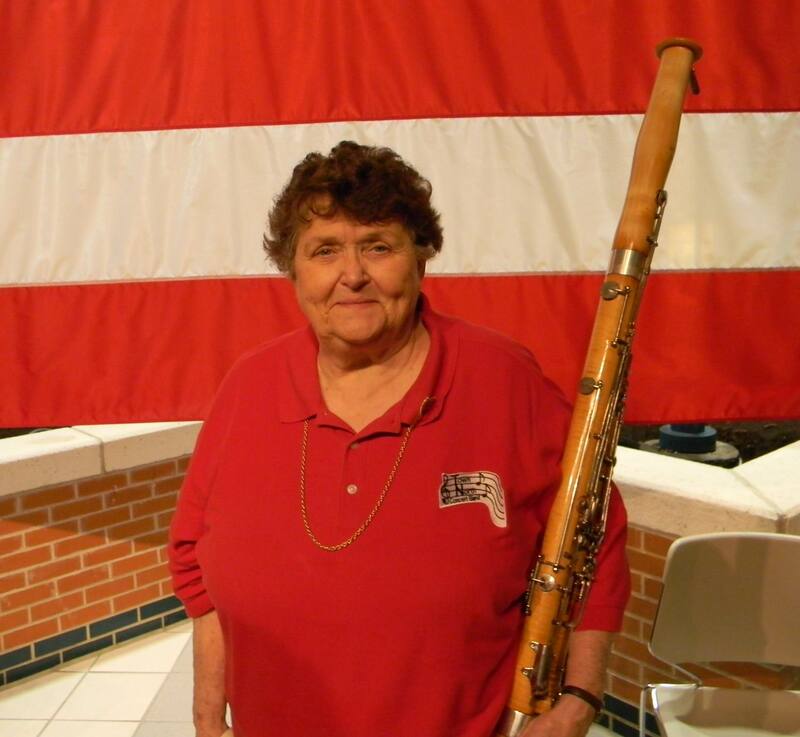 The summer before my senior year in high school, I took the school-owned bassoon home along with The Easy Step Band Book. I learned to finger the notes that were on the staff. I honked and tooted on it without any help from a band director or teacher until my family said ENOUGH! At which time they sent me away to college. Fast-forward many years: I am now grown, married, have a great career; I borrow a bassoon from a friend. I started all over with the original The Easy Step Band Book. I had saved it and moved it around with me the past 35 years. Well, wouldnt you know it, while we were away from home one day, the burglars came and you guessed it, they took the bassoon. I always wondered about my neighbors. After the theft, they had a new smile, they looked rested, and there seemed to be yellow feathers in the corners of their mouths. Finally, my husband bought and refinished a used bassoon for me. I continued to honk and squawk until I bought a bassoon book and tape; I learned about rhythm patterns from the book and tape. I got better. Then I took a few bassoon lessons from one of the best bassoon players in Dallas but we could not coordinate our schedules. He was great and he had patience. I am on my own again. Fast-forward again: And I again signed on to study bassoon. Now I am with one of the best woodwind musicians in the city of Dallas. Not only was he my teacher, but as a boy he sat next to me in the high school band playing alto saxophone until his senior year when he took up the bassoon; he was the boy who inspired me to want to make those beautiful sounds that can come from the bassoon. (He was a year ahead of me in High School). Another note of interest, this great woodwind musician was the high school instructor of the great bassoon player in the paragraph above. He too is great and has patience.